We got a chance to talk to the folks at Saitek about their upcoming products. 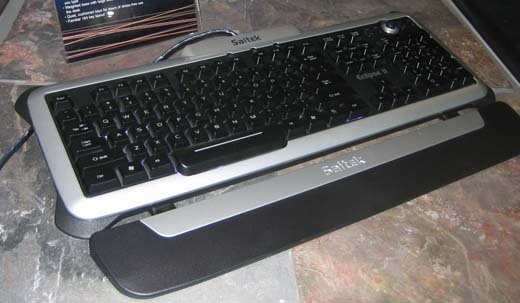 They have the Eclipse II keyboard, GM3200 Laser Mouse and the Pro Flight Rudder Pedals. Get the full scoop after the jump. The Eclipse II keyboard is the latest in the Eclipse keyboard series. This features the same backlit keys, but now they come with a true dimmer dial in three colors: red, purple, and blue. Other than that, it is the same 'ole keyboard. Media keys, adjustable wrist rest and a weighted base are all included. It will be available in July for $69. 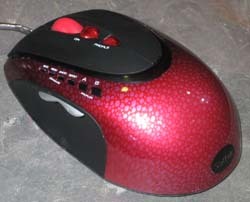 Next up is the GM3200 Laser Mouse.  This mouse has a 4-stage DPI-adjustment that is controlled with a switch below the scroll wheel and has settings for 800, 1600, 2400 or 3200 DPI. It also has multiple profile settings so your wacky left-handed second cousin's neighbor won't mess up your precious controls. It is wired-only and will be available in September for $50. 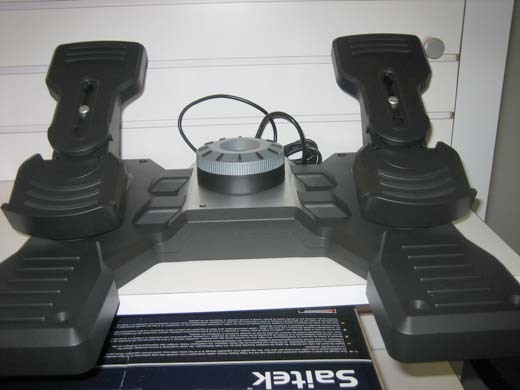 Lastly, Saitek is releasing the Pro Flight Rudder Pedals to go along with their X52 or other flight control systems. It has adjustable sized pedals, tension and damping adjustments and a weighted based to prevent movement. It plugs in via USB so it can be used independently without the joystick. It will be available in July for $129.